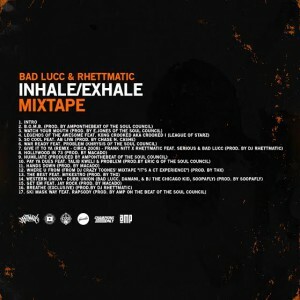 The Watts Riot MC & Diamond Lane representative Bad Lucc connects with our very own Rhettmatic to whip up a new mixtape, Beat Junkie Style, called “Inhale/Exhale” to promote Bad Lucc’s upcoming project “Breathe” with producer AMP On The Beats of 9th Wonder’s Soul Council crew. It’s 40 minutes of straight West Coast G-Sh*t, Raw Raps, & Boombastic Beats. 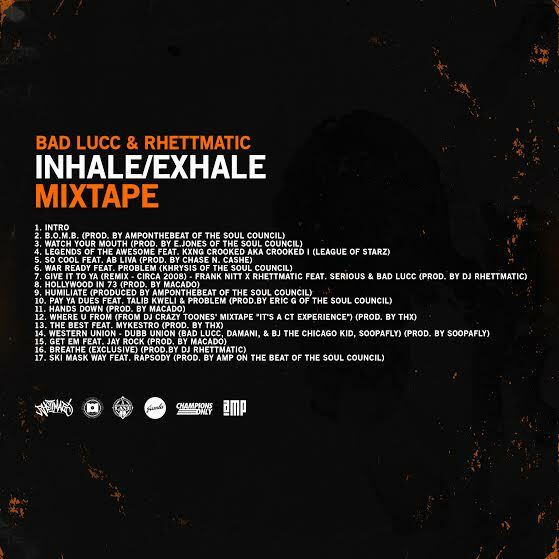 Features appearances/production by Talib Kweli, Crooked I, Jay Rock, Frank Nitt, Problem, AMP, Khrysis, Eric G, & of course Rhettmatic. “Breathe” EP drops next Tuesday, November 10th on Diamond Lane/Jamla. Pre-order on ITunes. J-Dilla – Curb Servin instr.